Tuesday, Mar. 6, 7:00 p.m. The Rangers will face-off against the New Jersey Devils at Prudential Center (7:00 p.m.; TV: MSG 2; Radio: Bloomberg Radio), in an Atlantic Division match-up. The Blueshirts currently sit atop the Eastern Conference standings, and rank first in the league overall, with a record of 42-15-7 (91 pts.). The Rangers enter the contest having defeated the Boston Bruins, 4-3, on Sunday at Madison Square Garden for their fourth win in five games, and are now 13-3-3 in their last 19 games. The Devils enter the contest with a 36-24-5 (77 pts.) record to rank sixth in the Eastern Conference, and have lost five of their last six games. 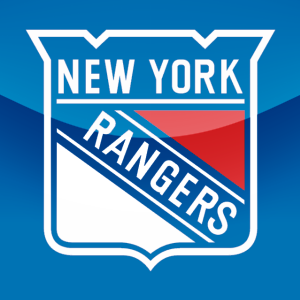 Following the contest, the Rangers will face-off against the Ottawa Senators on Thursday, Mar. 8, at Scotiabank Place (7:30 p.m.), to begin a back-to-back road set. New York, July 20, 2011 – The New York Rangers announced their 2011 preseason schedule today, featuring four games in Europe and a total of seven games. * The Rangers were defeated by the New Jersey Devils, 1-0, tonight at Prudential Center, and are now 31-25-4 overall with a 17-13-1 mark on the road. Friday, Feb. 18, 7:00 p.m.
Wednesday, Dec. 29, 7:00 p.m.
Friday, Nov. 5, 7:00 p.m. The Rangers will face-off against the New Jersey Devils tomorrow, Nov. 5, at the Prudential Center (7:00 p.m.), to close out a back-to-back set against Atlantic Division rivals. The Blueshirts currently rank second in the Atlantic Division standings, and seventh in the Eastern Conference, with a record of 6-5-1 (13 pts). The Rangers enter tomorrow’s contest having been defeated by the Philadelphia Flyers, 4-1, earlier tonight at the Wells Fargo Center, and are now 5-3-0 in their last eight contests. The Devils enter the contest with a 4-9-1 (9 pts) record to rank 13th in the Eastern Conference, and have lost five of their last seven contests (2-5-0). Following tomorrow’s game, the Rangers will return home to face-off against the St. Louis Blues on Sunday, Nov. 7, at Madison Square Garden (7:00 p.m.), to begin a four-game homestand, their longest of the season. Prior to the game, the Rangers’ morning skate is scheduled for 11:30 a.m. at the Prudential Center. * 2010-11: Tomorrow’s contest marks the second of six meetings between the Rangers and Devils this season, and first of three games at the Prudential Center. The Blueshirts currently own a 1-0-0 record, following a 3-1 victory on Oct. 24 at Madison Square Garden. * Last Season: New York was 3-2-1 against the Devils in 2009-10, including a 2-1-0 mark at New Jersey. Five of their six meetings were decided by two goals or less, including three that were decided by one goal and two that required the shootout. * Power Play: The Rangers tallied one goal in four power play opportunities (7:53) last night at Philadelphia, and are now 6-27 (22.2%) with the man advantage over the last seven games. New York is tied for 13th in the NHL with a 17.4% (8-46) success rate, and ranks 10th on the road with a 20.0% (4-20) success rate away from MSG. The Rangers did not convert on one five-on-three chance (0:30) on Oct. 9 at HSBC Arena, and are now 0-1 on five-on-three attempts (0:30). New York is 0-1 (1:05) with a four-on-three advantage this season. Shorthanded goals allowed (0). * Penalty Killing: The Blueshirts surrendered two goals to the Flyers in five shorthanded situations (8:56) last night at Philadelphia. New York ranks 27th in the NHL with a 75.5% (40-53) success rate, and are 19th in the league on the road with a 79.3% (23-29) success rate away from MSG. The Rangers held the Maple Leafs scoreless in one, three-on-five situation (0:31) on Saturday at Toronto, and are 4-6 on three-on-fives (5:08) this season. The Blueshirts yielded one goal in three, three-on-four situations on Oct. 15, and are now 2-3 (1:10) in those situations this season. Shorthanded goals for (1): 10/9 at BUF (Dubinsky). * Four-on-Four: New York did not skate in a four-on-four situation last night at Philadelphia, and are now even in nine, four-on-four situations (11:44) this season. Four-on-four goals for (1): 10/18 vs. COL (Frolov). Four-on-four goals allowed (1): 10/15 vs. TOR (Kessel). Tomorrow’s contest will close out the Rangers’ third of 18 back-to-back sets this season. The Blueshirts are currently 2-0-0 in the second game of back-to-backs, and 1-0-0 when the second game is on the road, following a 2-0 win at Toronto on Saturday. Last season, New York posted a record of 9-2-2 in the second game of back-to-back sets, including a 5-1-1 mark when the second game of the set was on the road. The Rangers own a record of 14-5-2 vs. the Devils since the start of the 2007-08 season, including a 6-3-1 mark at New Jersey during the stretch, dating back to a 2-0 win on Oct. 25, 2007. Henrik Lundqvist, who has started in each of the Rangers’ last 26 meetings with the Devils, has registered a 2.18 goals against average, .923 save percentage and four shutouts in the 21-game stretch. Henrik Lundqvist has faced-off against Martin Brodeur in 27 career regular season contests, posting a record of 18-4-5 with a 1.72 goals against average, .938 save percentage and four shutouts over the span. The Blueshirts currently lead the NHL with 238 blocked shots on the season, averaging a league-high, 19.8 blocked shots per contest. Dan Girardi ranks first in the NHL with 42 blocked shots, and Ryan Callahan leads all NHL forwards with 20 blocked shots. The Rangers currently rank second in the NHL with 348 hits on the season, averaging a league-high, 29.0 hits per contest. Ryan Callahan leads the team and is tied for fourth in the NHL with 45 hits, and Brian Boyle is tied for 22nd in the league with 32 hits on the season. Henrik Lundqvist posted his first shutout of the season with a 36-save performance on Saturday at Toronto and, in the process, passed Mike Richter, Chuck Rayner and Lorne Worsley for fourth on the Rangers’ all-time regular season shutouts list with 25 career regular season shutouts. * The Rangers were defeated by the Philadelphia Flyers, 4-1, tonight at Wells Fargo Center, and are now 6-5-1 overall, including a 4-2-0 mark on the road. * New York notched one goal in four power play opportunities (7:53), and have now tallied six goals on the man advantage in the last seven games (6-27, 22.2% over the span). * After a scoreless first period, Brandon Dubinsky opened the game’s scoring with a power play tally at 1:53 of the second period, and won a team-high, eight face-offs in 15 attempts (53%). He has now registered eight points (five goals, three assists) in the last seven games, including four goals in the last four contests. Dubinsky is currently tied for fourth in the NHL with eight goals on the season, and ranks second on the team in scoring with 12 points. * Michael Del Zotto tallied the primary assist on Dubinsky’s power play goal, and was credited with three blocked shots in 20:07 of ice time. The defenseman has now recorded an assist in each of the last two games, and has registered three of his five points on the power play this season. Del Zotto is tied for second among team defensemen with four assists and five points. * Michal Rozsival registered a power play assist and tied for the game-high with six blocked shots in 23:20 of ice time. Rozsival leads all Rangers’ defensemen with six assists and eight points, and is tied for second on the team in assists and ranks fourth in points. * Dan Girardi led all skaters with 25:33 of ice time, and he now leads the team and is tied for 19th in the NHL in average ice time (24:14). * Ruslan Fedotenko registered a game-high, four hits in the contest, and he now ranks third on the team with 30 hits on the season. * The Rangers will travel to New Jersey to face-off against the Devils, tomorrow, Nov. 5, at the Prudential Center (7:00 p.m.), to close out their third of 18 back-to-back sets of the season. Prior to the game, the Blueshirts’ morning skate is scheduled for 11:30 a.m. at the Prudential Center. The contest will be televised live on MSG 2, and can be heard on 970 The Apple.